I was planning on 1 PR for this week, but ended up with 4! On Wednesday I got a 370 lb front squat, which is a +20 lb PR from last week. Not too shabby! For the upcoming weeks, I'm going to fill out the "Front Squat" row in my personal records scoreboard starting with a new 2 rep max (I'm thinking 350'ish), then 3, and maybe 5. Did this one on Wednesday. 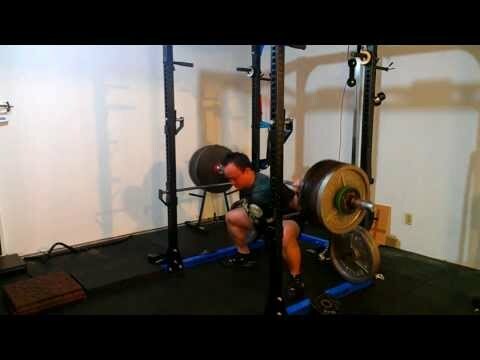 Could have sworn I had overhead pressed 240x2 before, but I couldn't find any record of it. 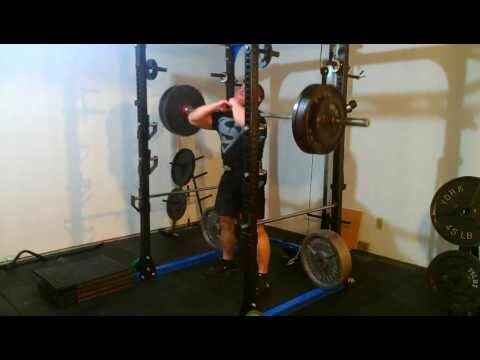 On Friday I did 440x5, which is a +10 lb PR from February. My form was pretty good for all reps I think. I am satisfied. The next day (Saturday), I managed a high bar squat for 440x5, which is also a +10 lb PR. The last time I got a 5RM was on the same day I did a low bar squat 5RM. 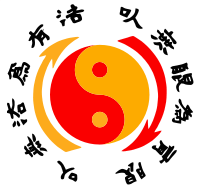 Also, I wanted to get in a training session of squats and deadlifts because I was going to have Chinese buffet for lunch (or in my case, a post-workout meal). 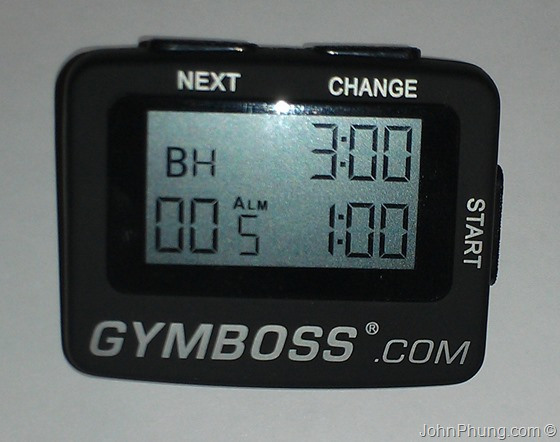 I wrote a review for the standalone interval timer known as the Gymboss. TL;DR: It's a good interval timer. 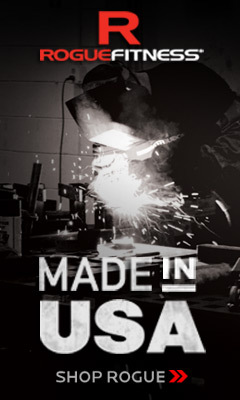 Buy it if you want something that's compact, simple to use and has a vibration function. I'm going to stop calling what I'm doing "Texas Method" mainly because what I do now deviates a bit from the program, and I don't want to be confined to a "method" or a "system" if I want to alter my training somehow. (As I write this, I'm reminded of Bruce Lee's saying of, "Using no way as way" & "Having no limitation as limitation"). I've already made many changes. My training now contain some elements of the Texas Method, namely, a higher volume day and a higher intensity day, but sometimes I'll have 2 or 3 PR days per week (Wednesday, which is usually a "recovery day", Friday, and sometimes Saturdays like yesterday). My recovery days are usually "intense" ie. attempting 1 rep maxes, and sometimes they're high in volume. My "intensity days" are sometimes high in volume as well. I think it's about time to stop calling it the "Texas Method". In the end, it's just training to get stronger. 15 minutes on the black Rumble Roller and lacrosse ball. A bit tough. Maybe I'll stick with sub-500, because this felt like a bit of a grind. We'll see. 440 lb: 5 * PR! 5 rep max! Previous best was 430 lb on February 22, 2013. The last rep felt a lot longer than it looked. Originally planning on NOT trying a 1RM. Got greedy as I warmed up. Out of the rack and on the descent it felt smooth. Don't think I got it up half way. I did set it down gently though. My right hand rotated slightly out of place on the 2nd rep, which messed me up. Missed on the 4th rep. Wanted 5. Going to call it a day. 370 lb: 1 * PR! New 1RM...by 20 lb! Not too bad...but still not double body weight. 240 lb: 2 * PR! 2RM! I think. 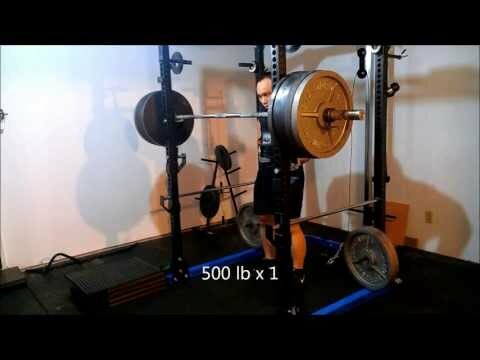 I feel like I've done this weight for 2 reps before, but I cannot find any record of it through a Google search. Time to fill out an empty box in my personal records table! I think curls would be more fun to do if I had a mirror. Hook grip. Gotta increase my pain tolerance. Might have done an extra set...but I'm not 100% sure...dammit. I did another set to make sure I got the 3x5 I wanted. Changed my shirt because my previous one was pretty sweat from squatting. Also, the shirt that I'm wearing has some printed writing and a logo on the back, so it'll probably stick to the bench a little better and prevent me from sliding. Nice and smooth. ~350 lb (actually, 160 Kg or 352 lb) could be my opener for the bench press for an upcoming powerlifting meet. Might lower it, to be conservative and make sure I don't miss a rep in an unfamiliar environment with unfamiliar equipment. Grip felt a little off on the third set when I unracked the bar. 515 lb: 1 * PR! 1 rep max by 5 lb! Was thinking about 520 at first, but didn't want to miss and regret not trying 515. Half way up, I felt the muscles in the middle of my back kick in. I think the same ones that were sore from front squatting the other day. Tough, a bit of a grind.